Super Smash Bros. Ultimate set to release in December. And since 'everybody is here,' Shacknews is taking some time to break down each of the game's characters individually, continuing with Fire Emblem's Hero King, Marth. Marth is one of the faces of the Fire Emblem franchise, standing out as the first of the series' main characters. A noble warrior, Marth can clash swords with the best of them, fighting the forces of Medeus with his trusted sword Falchion, the Divine Blade of Legends. Now the Emperor of the Altea kingdom, Marth defends his homeland against all sorts of threats from outside its walls. Marth has faced challenges from the dark dragon Medeus, his former friend Hardin, the evil priest Gharnef, and all other sorts of formidable adversaries. Marth stands out in the Smash Bros. world, because it's where he was first introduced to Western audiences. While Fire Emblem was popular out in Japan for years, Super Smash Bros. Melee was where players out west first got to meet the Hero King with a heart of gold and with a Japanese catchphrase that roughly translated to "Hey, everyone! Look at me!" Casual audiences looking for a top-level sword fighter will often turn to Link first. But Marth has a lot of tools that make him arguably superior to Hyrule's Hero of Time. Those who work to master Falchion are rewarded with some powerful combos and strikes that are capable of KO-ing opponents early and often. The most important thing to remember is that the tip is where it's at. 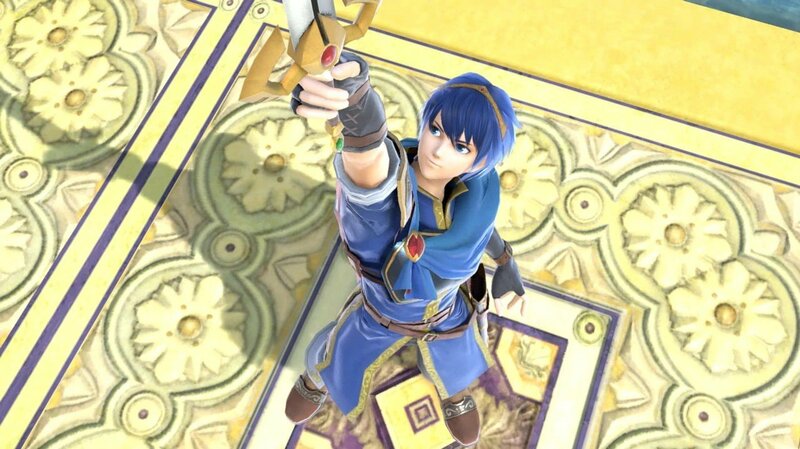 Marth is one of the few characters with a unique "tipper" mechanic, which rewards players who are able to successfully land attacks along the tip of his sword. Shield Breaker (Neutral B): Marth charges up Falchion and delivers a powerful slash. At full charge, it's capable of living up to its name and breaking shields. The aerial version gives Marth a horizontal dash, allowing players to use it as a potential recovery option. A fully-charged tipper version of this move is incredbily powerful. Dolphin Slash (Up B): Marth delivers a rising slash with moderate recovery distance. Dancing Blade (Side B): A more complex special move, Marth can deliver up to four successive slashes, each one able to go a different direction. Counter (Down B): This is Marth's best defensive option, as he'll catch any physical attach coming in and retaliate in kind. 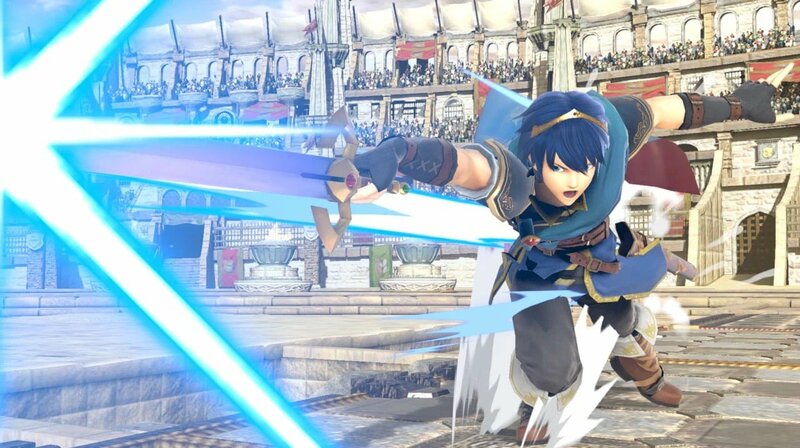 Critical Hit (Final Smash): Marth delivers a killer blow with Falchion, catching any adversary in his path and delivering a KO strike. 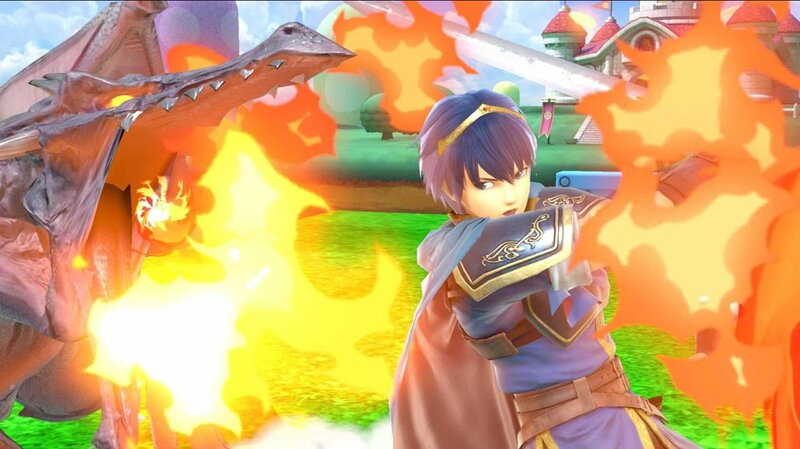 As one would expect from Marth, his attacks now have an extra finesse to them in Super Smash Bros. Ultimate. Shield Breaker is now easier to angle, making it a more reliable attack. But Marth's biggest change is to his Dancing Blade, which is now much easier to chain together. On top of that, successfully landing that four hit combo will reward players with a much more powerful final strike. Players will have to earn it, though, because Dancing Blade is slower to start. Marth is simply a smoother character overall, with his dash attack able to deal better damage and his aerials all having their landing lag reduced. He isn't necessarily faster, but the smooth transitions between moves make him feel that way. And then there's the tipper. Marth's tipper range appears to be extended, compared to the previous Smash Bros. game. I mean, look at this! This is good news for experts, as well as anyone looking to learn how to use this character for the first time. Marth is a high reward character, as long as players are willing to put in the work to learn how to use him effectively. Right now, the top player in Super Smash Bros. for Wii U is Leonardo "MkLeo" Perez. While he's grown into a master of multiple characters, the one that first brought him to the dance was Marth. So naturally, he should have a good handle on what makes him so great in Ultimate, right? Here's Leo working with Marth in an exhibition match, taking advantage of Ultimate's new short hop mechanic to maintain a safe distance with Falchion. Leo also took part in a Marth ditto against Ramin "Mr. R" Delshad, who was a top Marth player himself back during the Super Smash Bros. Brawl days. Mr. R took notice of Marth's basic attacks, finding that his jab isn't quite what it was before. This note on Marth's jab gels with what Samuel "Dabuz" Buzby noted on his in-depth analysis, with Dabuz going so far as to wonder whether Marth's ground game will be as effective as it was before. However, with the lower aerial lag, he does point out that Marth's forward-air will be much stronger and could be borderline broken. Corey "False" Shin has played some Marth himself and has observed the increase in the character's tipper range. And lastly, we'll end this with a quick exhibition from Jason "Mew2King" Zimmerman, one of the Five Gods of Melee. M2K has mastered Marth in both Melee and Smash 4 and wasted little time getting back into one of his old mains. Here he is trying him out at CEO 2018 earlier this year. Good write up. Marth was one of my favs in Melee. I tinkered around with him in WiiU a bit but I don't think he had enough damage / knock back for me to be successful. That plus they changed a bunch of his attacks so they had way smaller hit boxes.